Your vehicle is made up of many parts and pieces. Among them are hoses and belts. 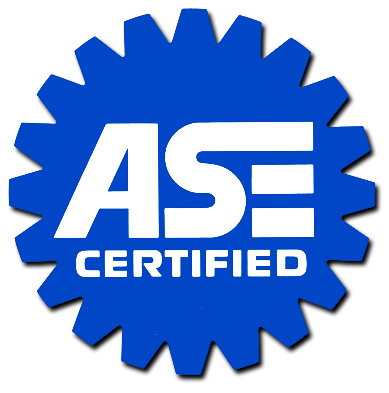 These essential parts require maintenance, repair and replacement through the course of your vehicle’s life. The mechanics at Ron’s Auto and RV are experts when it comes to vehicle maintenance and can make sure your hoses and belts are in good working order. Performing essential maintenance on your vehicle can extend the life of your engine and save you money in the long run. When should I have my engine hoses replaced? 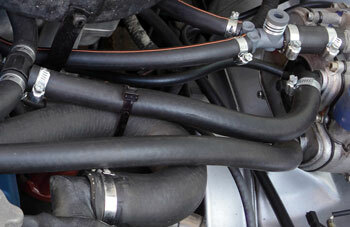 The radiator hose is an important part of your vehicle’s cooling system. There are multiple hoses that carry coolant through the radiator and back through the engine maintaining the proper temperature. A damaged hose can cause great harm to your engine, as it could overheat not receiving the coolant it needs. If your air conditioning isn’t working well, you have leaks, or see steam coming from under the hood you should bring your vehicle into Ron’s Auto and RV to have the radiator hoses checked. How do I know when to replace my engine belt? 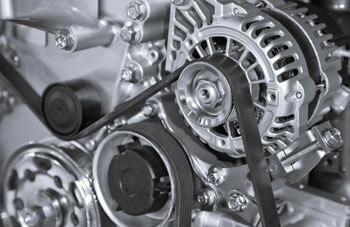 Replacing belts is a common but vital maintenance service. The best place to start is your vehicle’s owner manual for suggested mileage replacement. If you’re unsure when to replace your engine belt stop by Ron’s Auto and RV to have and expert mechanic inspect your engine and serpentine belts. If you hear squealing or other noises while operating the vehicle or notice cracks or wear on the belt these are good signs it’s time for your belts to be replaced.